Let’s sum up this week’s action with a round-up of startups from all across the region. Remember, for startup tips and story suggestions, feel free to email us. Alternatively, you can send tips here and/or tell us about your startup here. Enjoy this week’s list: 1. Dreamdays | China Built by the Guxiu team of three in Beijing, Dreamdays helps users remember and be alerted of dates and events that matter to them most. This mobile app is available in both English and Japanese. 2. Traverik | India Bangalore-based Traverik helps to build your itinerary for you based on the places other travelers liked. In a way, it’s like crowdsourcing your travel plans. 3. Shopby | Vietnam Fully launched in December 2012, Shopby has a unique model that integrates both social and e-commerce to provide daily deals in Vietnam. 4. Bukalapak | Indonesia We first mentioned Bukalapak back in 2011, so now’s a good time for an update. It’s an online C2C marketplace where people can buy or sell any goods at no cost, and also has the reputation of being the largest marketplace for bikes in Indonesia. This week, the founder also announced that he has started Netpreneur.co.id as a blog dedicated to advising people how to run a business. 5. GoRated | Philippines GoRated is a platform that allows users to rate and give testimonials to your website, at no cost and without a steep learning curve. 6. Mou | China The Chinese creator of Mou, a good-looking writing app for OS X, has launched interesting merchandise such as a tablet stand, beer bottle openers, and badges. It’s an unusual move for a startup to make, so we wanted to find out why. 7. Kleii | Vietnam Kleii is an online cloud storage service from Vietnam. This week it closed its first round of seed funding with the goal of increasing brand awareness in Southeast Asia. 8. Taembe | Vietnam Based in Vietnam and you in need of diapers? Look no further than Taembe.vn. The new e-commerce site, quietly released two weeks ago, focuses very specifically on online sales of diapers. 9. Dropmysite | Singapore Dropmysite, a website and email cloud backup service has previously acquired a US rival and expanded into numerous countries. Just this week, the startup announced an investment from Dave McClure’s 500 Startups. 10. Gengo | Japan Founded in 2009, Gengo is a platform for human translation of 33 languages, with over 7,500 experienced translators providing their linguistic services to small- and medium-sized business and major corporations. This week it secured a round of series B funding led by Intel Capital. 11. Triip | Vietnam Vietnam’s Triip provides a platform to allow anybody with a tour idea to create their own travel package and sell it to interested tourists. 12. Sribu | Indonesia Sribu is a startup marketplace from Indonesia that offers crowdsourced designs. Check out its newest growth statistics. 13. MoneyTree | Japan MoneyTree aims to simplify the lives of users in Japan by providing them an effective way to record their finances. It’s kind of like Mint for Japan. It launched this week with a new iOS app. 14. Edisse | Australia Sydney-based startup Edisse makes what it calls an innovative and lightweight watch that aims to minimize the risk of elderly people not being attended to when they fall. Like RSS? 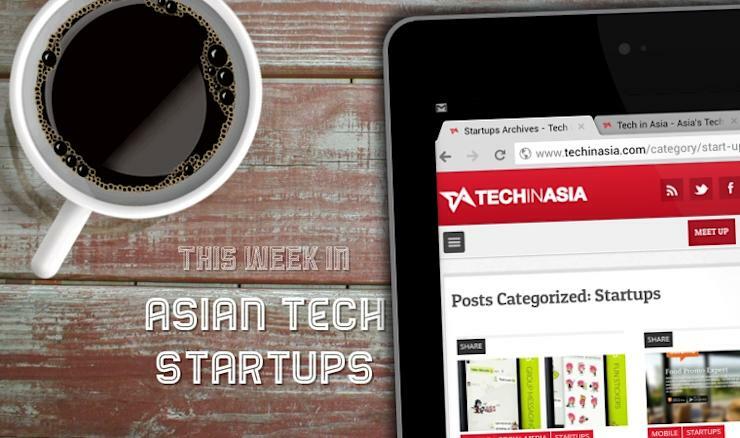 There’s always our Asia startups RSS feed! The post 14 Startups in Asia That Caught Our Eye appeared first on Tech in Asia.